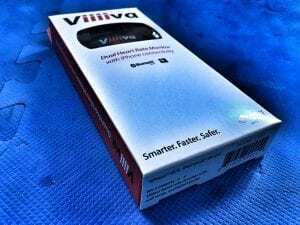 The $80 Viiiiva (pronounced “viva”) heart rate monitor is a quality HRM and much more. 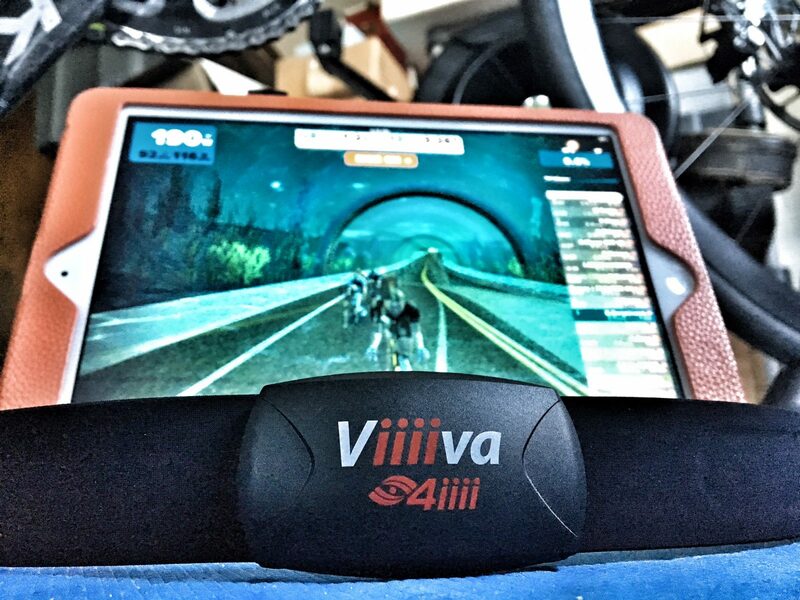 With the launch of Zwift for iOS Viiiiva’s ability to function as an ANT+ bridge has thrust into the spotlight. 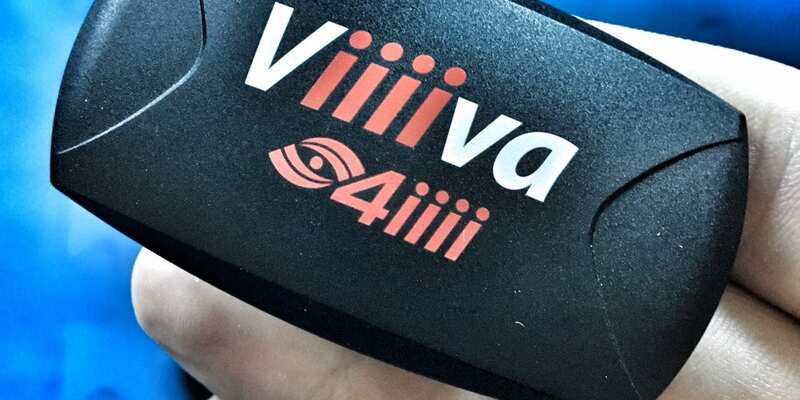 It’s important to note that 4iiii (pronounced “four eye”), the company behind Viiiiva, is not new to the fitness tech space. While they are smaller and lesser-known than some of the big industry players, 4iiii’s CEO Kip Fyfe and his team invented the ANT+ protocol while working under the Dynastream name (that company was later sold to Garmin). Located in Alberta, Canada, 4iiii also pioneered footpod tech for runners (which was later sold to Nike), and their super-accurate crank-based power meters were used last year by the Etixx-Quickstep pro team. The Viiiiva looks like your typical HRM, shipping in a simple box with a strap, the monitor “head unit” and a small product guide. Simple enough–you can have it unboxed, strapped on and broadcasting heart rate in 30 seconds or less. While a HRM may seem simple, there are definitely ways to get it wrong. For instance, my Garmin HRM requires you to unscrew four microscopic screws in order to change the standard CR 2032 battery. Thank you, 4iiii, for keeping battery swaps simple. On top of the hassle of needing a tiny screwdriver to change a simple batter, these screws are so tiny and wimpy that I stripped one’s head, even with a correctly-sized screwdriver! I was happy to see the Viiiiva uses a standard “coin slot” on its battery cover, making a battery swap easy. Apart from this, the strap and actual monitor seem well-built and on-par with other HRMs I’ve used. Viiiiva’s list of capabilities is impressive considering its price point. Below I’ve detailed the key capabilities I tested–a full feature list can be found on the Viiiiva homepage. This is the big feature for Zwift iOS users. 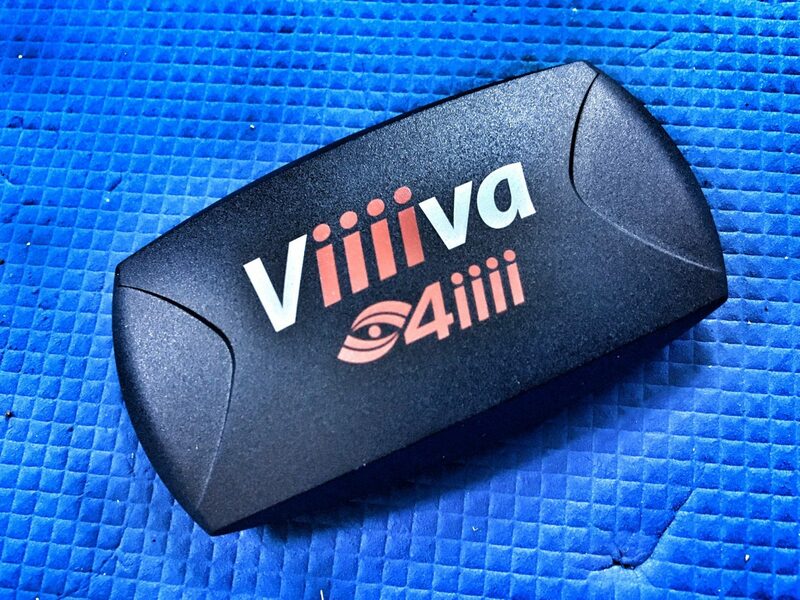 Using 4iiii’s smart phone app (available on Android and iPhone) you can pair your ANT+ sensors to the Viiiiva, and the Viiiiva will rebroadcast that sensor data via Bluetooth. This allows Zwift for iOS, which is Bluetooth only, to consume your ANT+ sensor data. It’s worth noting that, apart from Zwift, Viiiiva can also rebroadcast your ANT+ signals via Bluetooth to other apps such as Strava or MapMyFittness. All paired up and ready to go! Keep in mind this ANT+ bridging is essentially “one way,” so if your smart trainer is ANT+ only (such as some BKOOL trainers) the Viiiiva will not make it so Zwift for iOS can control trainer resistance. Viiiiva consumes ANT+ and outputs ANT+/Bluetooth. It will not consume Zwift’s Bluetooth instructions and output ANT+ control instructions (known as ANT+ FE-C) to your trainer. Viiiiva is extremely accurate, measuring the time between each heartbeat precisely enough to allow Viiiiva to be used in gauging heart rate variability. Heart rate variability is a big topic it itself, but essentially it’s a way to gauge your level of fatigue by measuring how the time between each heart beat fluctuates while at rest. More variability generally means you are more rested and can take on a harder workout. Free or cheap apps are available which can connect to a capable HRM such as the Viiiiva to help gauge your level of fatigue and better plan your workouts. While some monitors (including Wahoo’s Tickr) support a similar level of precision, many HRMs (such as my Garmin) do not. Up to 65 hours of data is automatically saved on Viiiiva and can be easily transferred via the app to another device or application (in industry-standard fit file format). 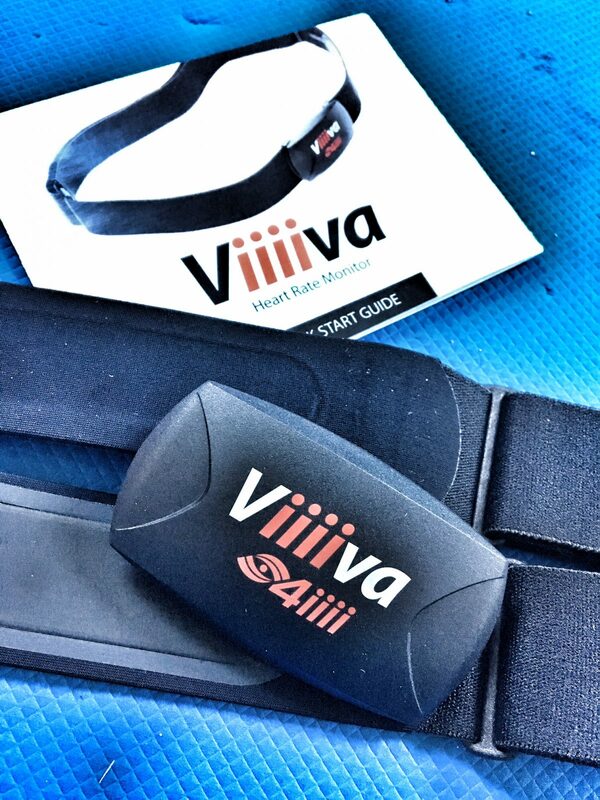 This means you can go for a run wearing the Viiiiva and your heart rate data will be saved. If you pair the Viiiiva with other ANT+ devices the data from those devices will be saved as well. If nothing else, it’s nice knowing you have a data backup in case your Garmin batteries die or Zwift crashes! 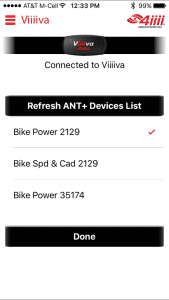 Viiiiva broadcasts on both ANT+ and Bluetooth, meaning it has the maximum level of connectivity you can get from an HRM today. 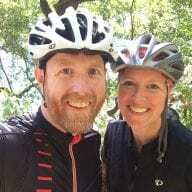 Got an app that only supports Bluetooth, such as Zwift for iOS? Viiiiva works. Got a device that only supports ANT+, such as a Garmin head unit? Viiiiva works. I’m thoroughly impressed by the Viiiiva. The folks at 4iiii have developed a product with an incredible list of capabilities at a very affordable price. Does the ant-bluetooth bridge mean that you can use a bkool with zwift for ios? The ANT communication in Viiiiva is only one-way, so if your BKOOL only supports ANT when it comes to controlling the trainer’s resistance, the Viiiiva won’t be able to let Zwift control your trainer. 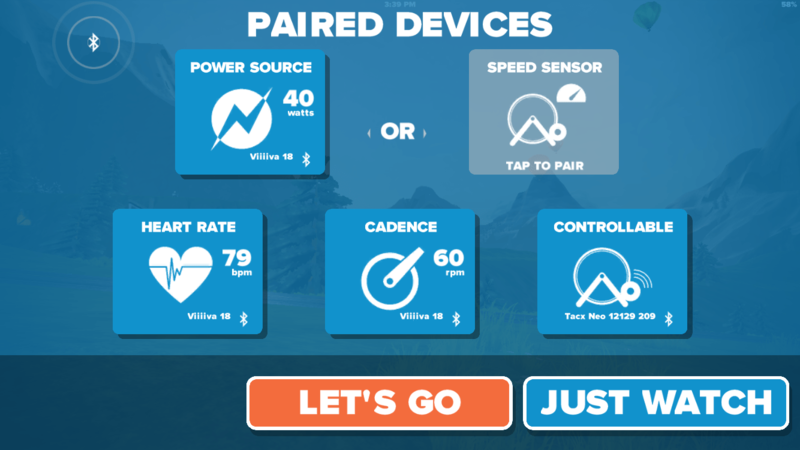 Viiiiva WILL let the trainer talk to Zwift via ANT+, though. Ordered mine for Christmas – looking forward to trying it out with my ANT+ only power meter. Does the hr monitor also broadcast power from a power meter to iOS device? Specifically garmin vectors. Thank you! Yes, it does! I tested it using my Garmin Vectors, in fact. Damn I missed the discount. Any chance you can get them to renew the code? Same here: just tried to order but discount no longer accepted? Looks like the discount no longer applies, so I will be removing it from the post until I get a new code. Hi, I could enjoy the discount. Thanks for that. Unfortunately it is not working as expected. I have speed and cadence sensor from Garmin. It works with 4iiii app and strava but not works with zwift. 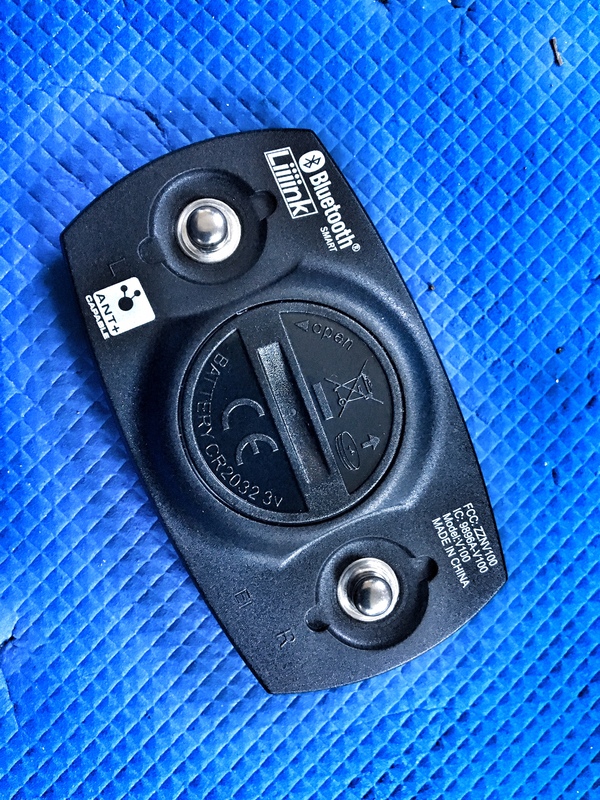 The speed sensor is detected as a power meter and unable to work. Anyone with the same issue ? Eric could you test using only your speed and cadence sensor? This is a known Zwift iOS bug… see all the comments above. Should be fixed in the next version of the app. I need to order one of these. I was wondering if you had a new discount code yet? I do not, and it doesn’t look like I’ll be getting one! Does this solve the Bluetooth dropout issue when using the iOS version? 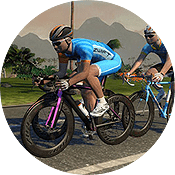 So if you want your kickr to work with resistance from zwift you are out of luck then? 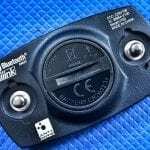 No–Kickr is Bluetooth and ANT. Just use Bluetooth with Zwift iOS and you’ll be fine. Hi – I have a Tacx Neo with IOS Zwift. I cannot get my Polar working(only uses BT) from the Tacx as it is already using the BT from the Neo to the Iphone to control the trainer etc…will the 4iiii pick up the ANT+ signals from the trainer and rebroadcast in BT so as my Polar can pick up speed, cadence and power from the Neo?